People who complete the Bars class will be certified to provide Bars treatments to others as an energetic therapy. You can create your own Bars practice or add this skill to your current practice. Access Bars is a great compliment for holistic health practitioners, massage therapists, chiropractors or anyone looking to learn a fun cool new way of expanding their current reality. Did I mention it's fun? 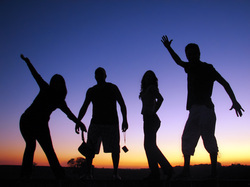 - Receive coaching by a Certified Bars Facilitator (BF) and clearings. - You will receive a certificate. *Licensed and certified massage therapist receive 8 CEU’s for this class. In addition, you will be provided with a comprehensive Manual, charts and other information to assist you in running Access Bars™, on your own, or on others. You may want to talk with your partner, spouse, lover or best friend to invite them to attend with you. You will wish they did once the class is over. Don't forget to bring your kids! Children 15 and younger are FREE with adult. Kids really "get" this energy work. It can help them when they receive it and also when they give it. If you have questions prior to class please contact me so that I can assist you. 757-287-3653. Early registration is preferred so that we can make sure to have enough massage tables, manuals etc for class. Classes may have limited spots available. Continuing Education Credits (CEUs) are what Certified and Licensed Massage Therapists in the United States need to maintain their licenses for certifications. Access Consciousness is now a Nationally certified provider of CEUs for Access the Bars and Access Energetic Face lift Classes. 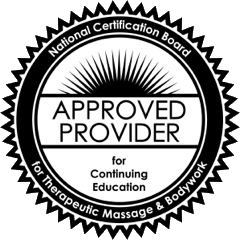 Massage Therapists receive 8 CEU credits for the first class and additional credits when repeating. Contact us for details! Kids 15 and under are free: Ages 16, 17 and 18 are half price. If you would like to try out the bars before the class, private sessions are available. Contact for details 757-287-3653. ** Classes are forming now. If you'd like to be informed about the next class details, please contact us and/or join our mailing list on the home page. If you are interested in hosting a class, please call 757-287-3653. Hosts receive a discount on the class.